Wanna treat? 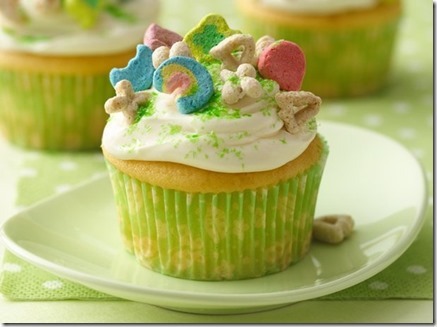 A lucky St Patrick’s Day treat? Something healthy? Or an oh-so-yummy (sugar-loaded) treat? Well, I have both kinds of St Patrick’s Day Recipes here. Those that look & taste fabulous, and those that look & taste fabulous and are healthy. Take your pick! You found a golden pot- worth of delicious St. Patrick’s Day Recipes. Let’s start with something healthy! 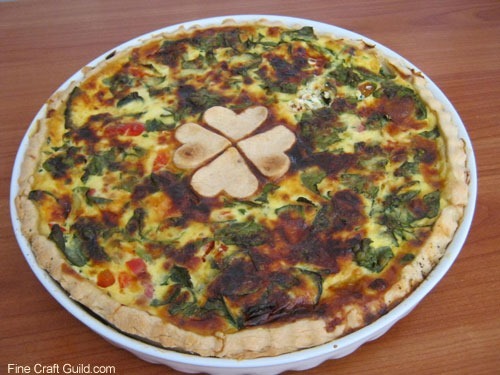 This shamrock quiche is not just cute and beautiful. The luckiest aspect of all is that it’s jam-packed with spinach and more vegetables! 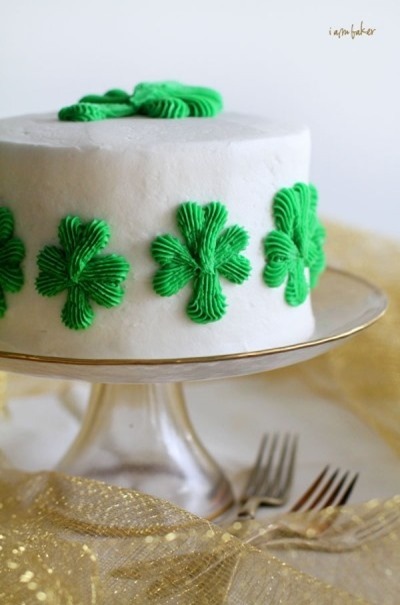 Great for a St Patrick’s Day dinner party, as lunch, or as a treat. A St Patrick’s Day recipe by yours truly! 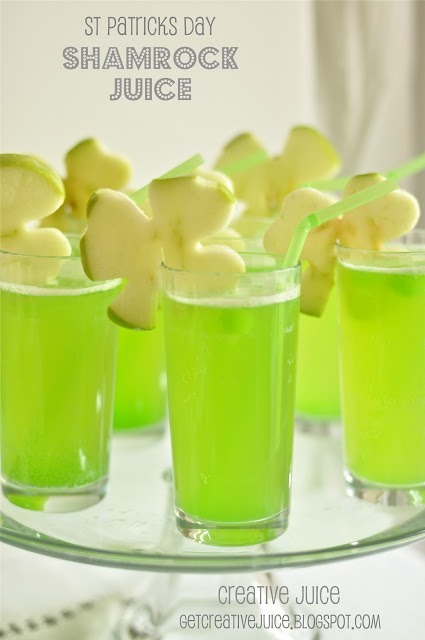 This second healthy St Patrick’s Day recipe comes from ‘Will Cook for Smiles’. 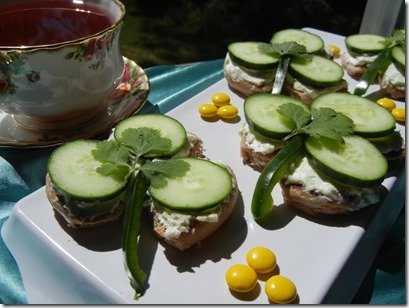 She made us Shamrock cucumber sandwiches. 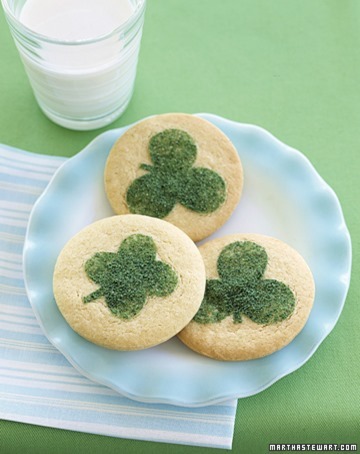 Oh, we fell for this shamrock cookie recipe before and wrote about it. They look like just the right size, using good quality ingredients and not over the top (in sugar). Delicious! 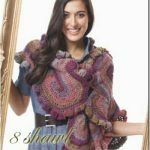 Originally by Martha Stewart. This is quite the St Patrick’s Day party jar. 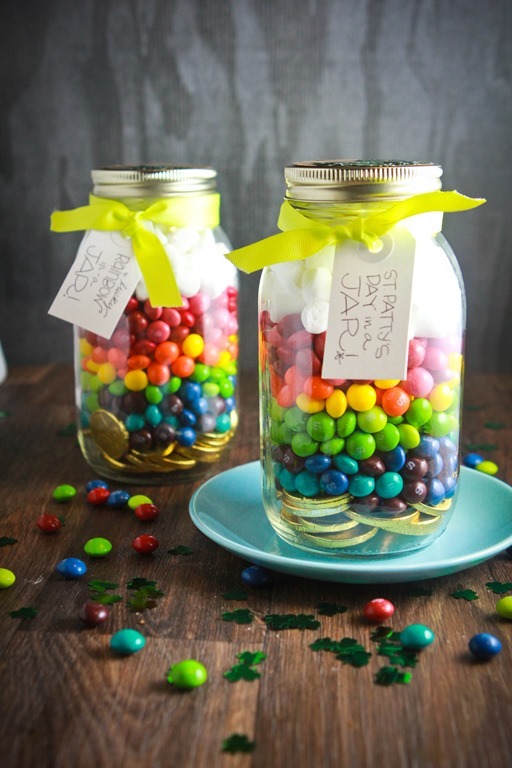 Kids will love the HUGE QUANTITY of M&Ms and the abundance of color and gold coins. Quite a treasure pot of gold ! 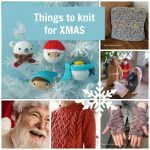 Great idea by babble.com. 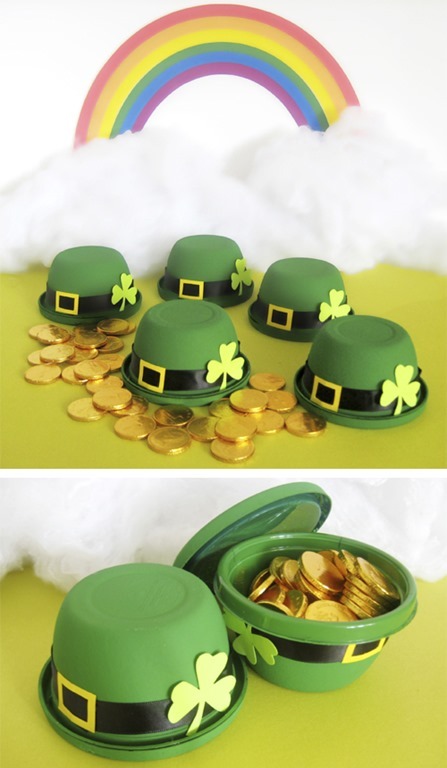 These are one of the cutest St Patrick’s Day treats we have seen. 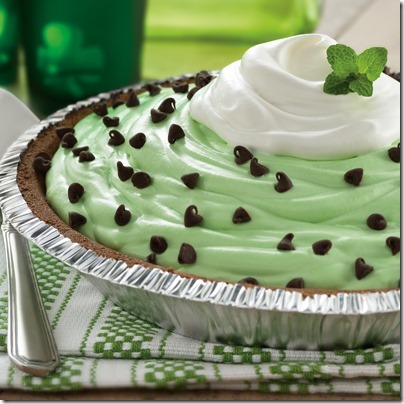 This St. Patrick’s Day Recipe comes from at Canadian Living. You know what they are made with?? You’ll never guess! Blue-lid, clear plastic 1 cup food containers. You know, the Dollar store variety. Put green craft paint on the outside. Embellish with black belt, clasp and shamrock. 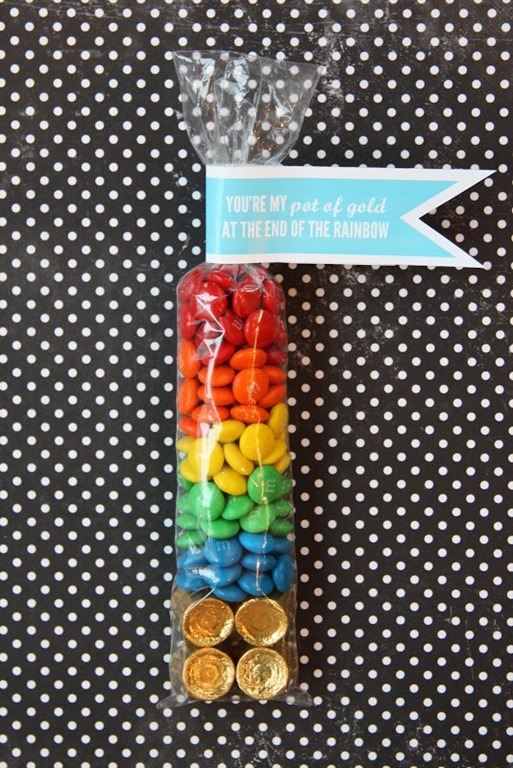 And fill with chocolate gold coins,. rainbow M&Ms, jelly beans or tiny toys. Easiest recipe ever to make kids happy. Success guaranteed. Pretty. Cute. Healthy (ish). Original! Seriously! 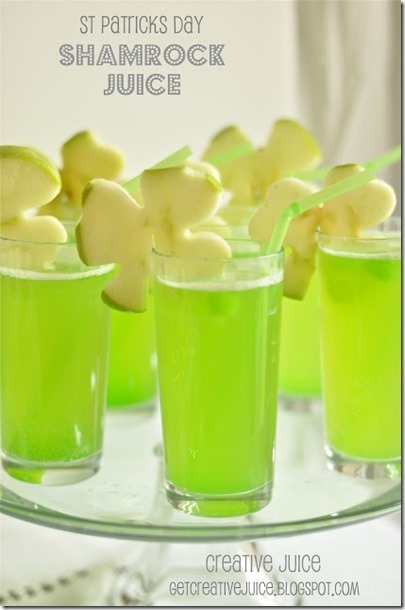 One of several St Patrick’s Day recipes by Get Creative Juice. Get this gadget to make those pretty apple slices…. These St Patrick’s Day cupcakes look with fun cereal topping look like they have real cream and real ingredients in them. It’s still a cupcake though, but they sure are festive, bringing everyone in a sweet mood. How lucky! By Darci, previously posted at darcidowdle.typepad.com/my-blog. 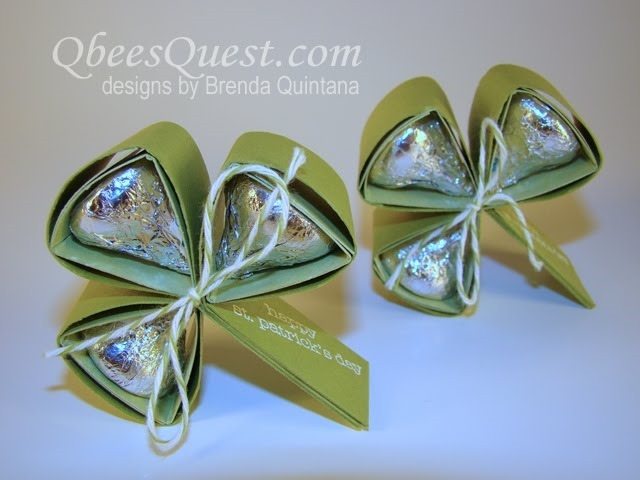 I’m not a fan of Hersche ‘chocolates’, but I could not say no to their very cute clover gift wrapping! 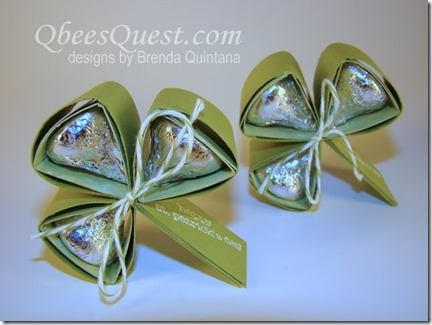 By Qbees Quest. Ok. Now this cake is a serious sugar temptation. Click-through if you dare! Looks beautiful, though, doesn’t it?! St Patrick’s Day recipe by IamBaker.net. 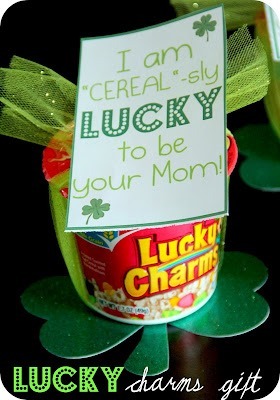 Tonii from Blues Skies Ahead made these cereal boxes for her kids. While having healthy breakfast now, they miss their sugary cereal…. except for on St. Patty’s day. A lucky treat to wake up to. That’s it for the round up of St Patrick’s Day recipes. Got any cooking & baking ideas to add? If so, link them up at our linky party (see right hand navigation bar for link) and leave me a comment to tell me where it is. 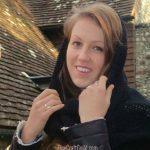 Thanks for the St. Patrick’s round-up! I liked the bowl of gold coins and the hershey kiss shamrock. St Patrick”s day? 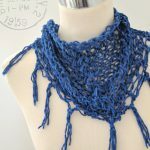 I am looking for mother’s day…. I guess I will have to tweak these recipe’s a bit, but HEY, it will probably work great!